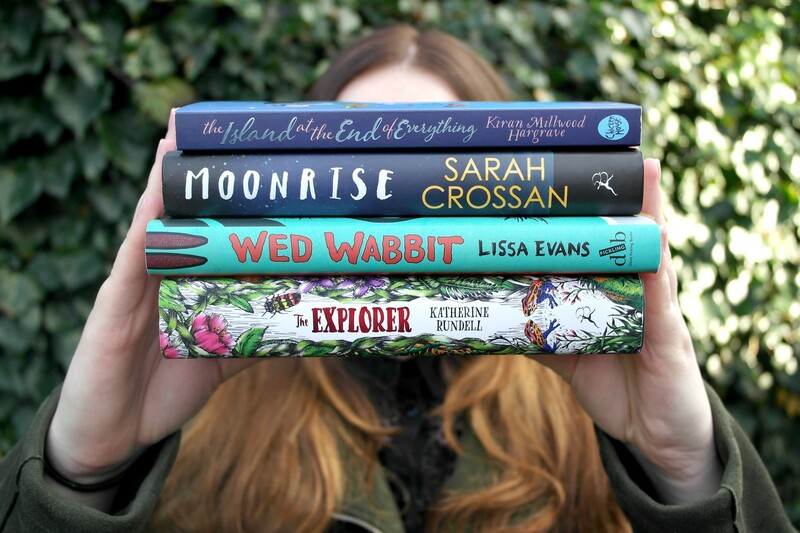 If you’ve happened to read any of my previous posts, you’ll have seen that this year I’m working with Costa Coffee on their Costa Book Awards* (and if you didn’t know, well… I’m working with Costa Coffee on their Costa Book Awards!) and I’m going to be reviewing each of the books in the Children’s category throughout December. If you want to find out more about the Awards and read the shortlist, check out my post here. This is the third post in my series of reviews: The Explorer by Katherine Rundell. Not only is children’s fiction not my usual genre, I don’t tend to gravitate towards jungle adventure stories but after checking out Goodreads, I saw that a lot of people loved this story and so I was excited to get stuck into it. Keep reading for my spoiler free thoughts! Whilst the plot only spans around two weeks, The Explorers is reasonably fast paced and there is something around every corner for our unexpected explorers. Set in post WWII, the stranded children must come together in a bid for survival in the beautiful yet dangerous Amazon which is filled with intrigue and mystery. Fred, Con, Lila, Max, The Explorer (and even Baca the little Sloth!) felt totally three dimensional to me; I had a solid picture of each of them in my mind and they stood apart from one other so distinctly, as though they were stood right in front of me. I enjoyed seeing the character growth and development throughout the plot and how each must adapt to survive their new surroundings, using their own individual skills. Similarly, Rundell’s world building was impeccable as she painted a picture so vividly it was as if I could almost feel the Amazon floor beneath my feet and the branches brushing my hair as I moved through the journey with the gang. Beautifully illustrated pages accompanied the story which only made the experience so much more exciting. “Every human on this earth is an explorer. Exploring is nothing more than the paying of attention, writ large. Attention. That’s what the world asks of you. If you pay ferocious attention to the world you will be as safe as it is possible to be”. “I’m not sure”, she said. She was blinking hard. Right in the feels as they say, huh? Rundell weaved important themes throughout the story, such as friendship, trust, loyalty and self belief. However, The Explorer also explored very apt and relevant topics such as how mankind over the years have ruined such peace and beauty by invading other cultures and their lands, resulting in devastating destruction – this especially made me stop and think. I know that as a young child, I would love the sense of adventure that just pours off each page and even as a 23 year old I was gripped. Not only was The Explorer exciting and entertaining, I also found it informative, packed with lots of knowledge and tid bits of information about animals, plants and survival tips. Whether it’s all true I don’t know, but I enjoyed feeling as though I was learning something whilst reading a good book. 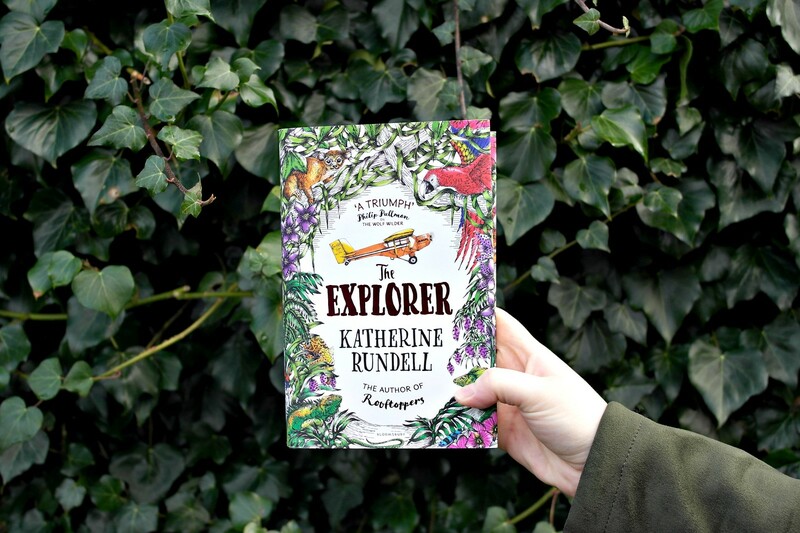 I think that The Explorer by Katherine Rundell is the perfect read if you’re looking for some light escapism – young or old! Personally, I think that this would translate into film beautifully too. I rated this 3.5/5 stars and it has definitely inspired me to sink my teeth into more adventure stories.